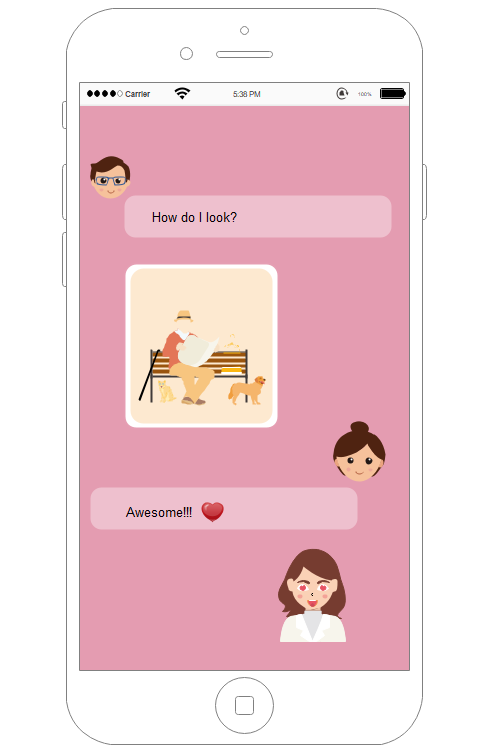 Description: Here is an iPhone UI of chatting with facial expression sticker wireframe. View more exquisite facial expression cliparts and use them in your design. You can even customize facial expression symbols with the easy-to-use drawing tools in Edraw. Creating personalized emoji stickers would be fun!